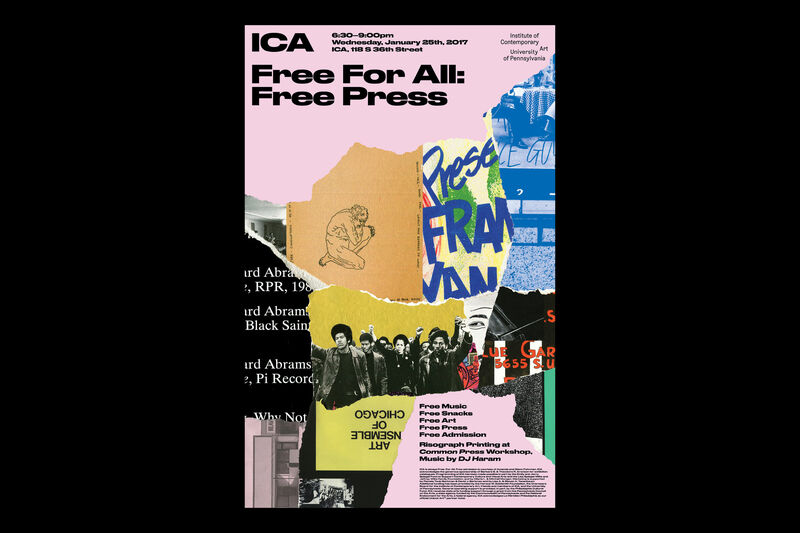 A poster for the Free Press edition of Free For All event at ICA Philadelphia. 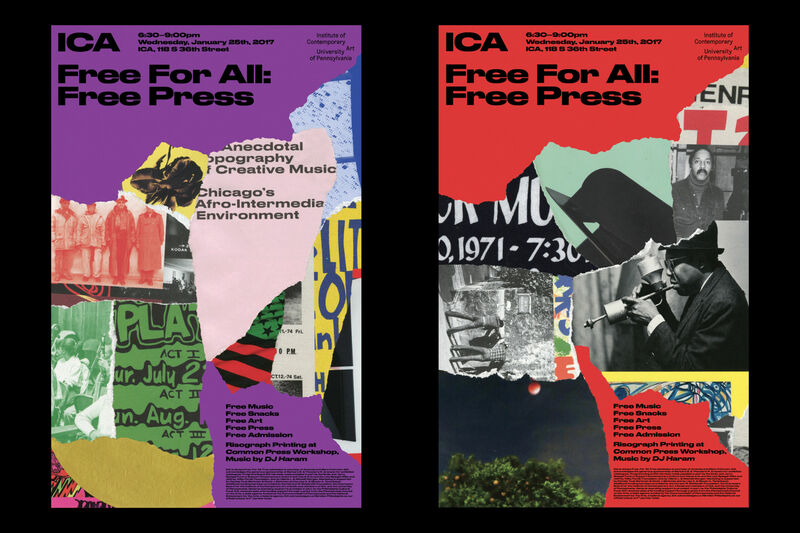 Free For All is ICA’s biannual social event for the public to view the exhibitions, witness special performances, and enjoy free food and drinks. This poster is printed on an untrimmed press sheet and acts as a free take away from the event. Collages are made from the catalogue of the exhibition at the time, The Freedom Principle: Experiments in Art and Music, 1965 to Now. The catalogue is used as a catalyst to create various posters for the same event. Further, the audience were invited to make their own collage posters using the same source onsite at a risograph printing workshop.